Hello everyone, found this forum through a link from s2forum when i was reading sküll's thread over there. 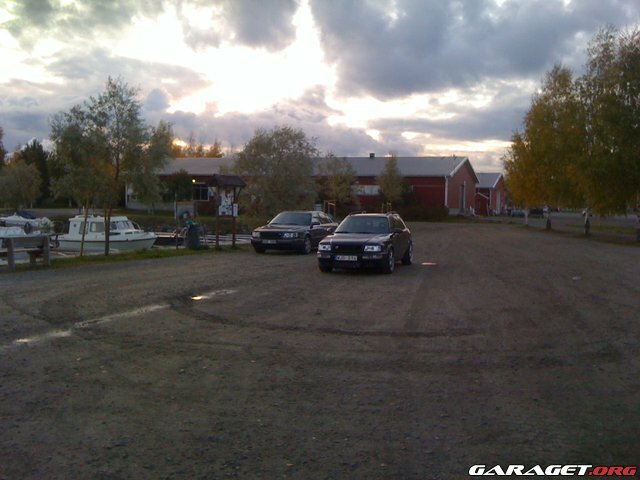 27years old male from northen of Sweden who learned to love Audi mainly b/c of its quattro in the winter. 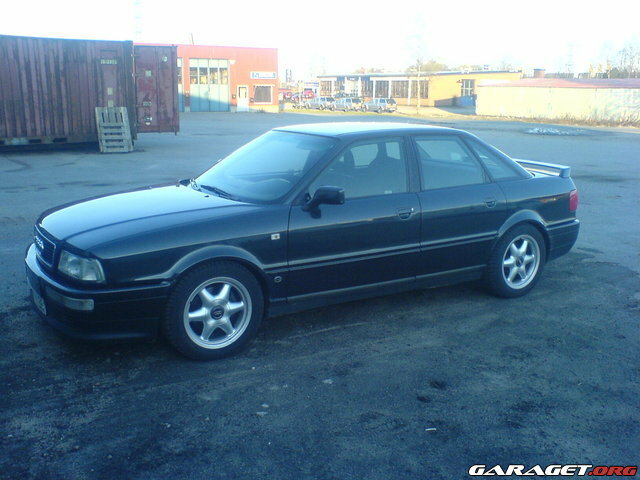 Always had a great interest towards cars but the last years i havent had anything else then my A6 2,6 quattro. Fun? Not at all. The abstinence is growing bigger each day after something with more "Umpf" and therefore i'm planning a new project this fall, collecting parts atm! But first a small flashback of my previous Audis! My first quattro, a really nice car with only 148000km! I was the forth owner (1 was the car dealer) and this was my way into the quattro addiction. 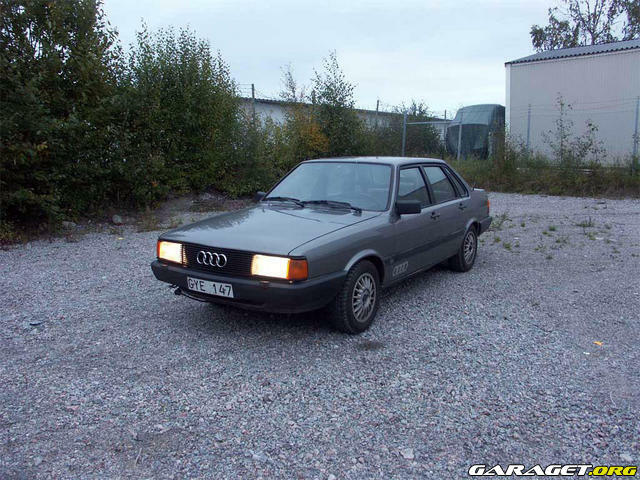 Meanwhile i had this car i purchased another 80 GTE quattro with the intension of swapping a 5cyl 20vt engine. But while i was building that a guy here up north set his car for sale. 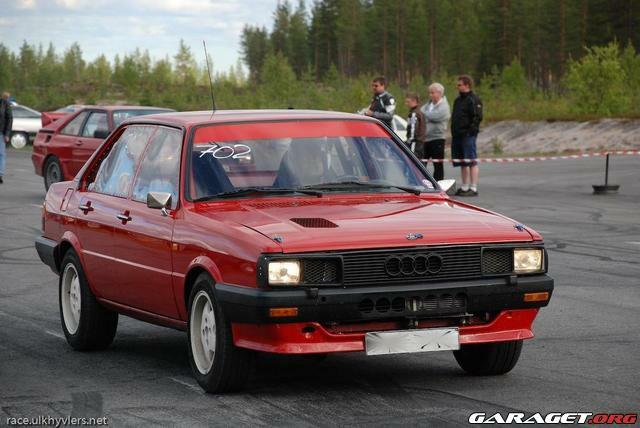 Audi 80 quattro with an 16v 4-banger turbocharged engine. The gearbox was junk but since i had the other project-car i had spare parts, raced that summer with a KR 16v stock bottom end, a mildly ported head with ABF-cams. Charged by a Holset HX40 and all controlled with VEMS. 1,5bar and 7500rpm. Friggin awsm car on the ice-track! But when you get the taste of horsepowers - you want more! So a complete built ABF-engine was purchased. 2,0 seat ABF-engine with JE-pistons and h-beam connecting rods. A ported top with mechanical lifters and angry cams. 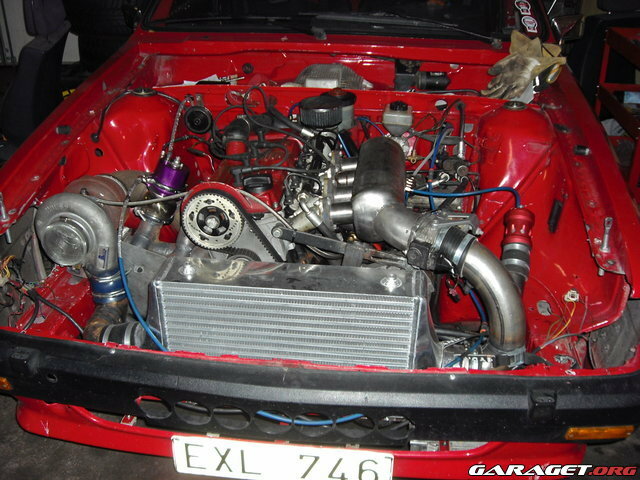 Same turbo was used, but i fabricated new exhaust manifold and intake manifold, together with all the pipings. 9200rpm / 2.0-2,2bar boost. It was a sick friggin car. The gearbox didnt appriciate the horses so it gave up, during the winter i build new drive line with 6speed 01E, 4,11 rear diff etc. Engine compartment with stainless steel intake manifold, etc. 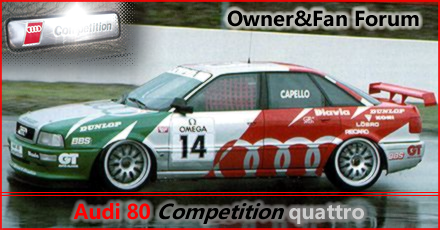 Meanwhile i had the red race-audi i sold the project car, the Audi 80 GTE (regret it to this day) and found myself an Audi 80 Competition! Loved that car, kinda got condition on it but man. Even if i drove a car with 500+ hp and 1000kg this thing was fun to drive around! Completly stock Rs2 except the porsche cup-wheels. So i sold my competition to my younger brother who needed his first car. Had the Rs2 for 1,5 years and sold it, little expensive to own - but amazing car anyways. Bought my A6 2,6 quattro -00 and still own it - and its my only car atm. But that will soon change! In the background of the Rs2 here you can see my fathers car, Audi S6 20vt -95 with 5-speed 01e gearbox. My father just bought himself a Audi S8 (hmm, seemes like the whole family is kinda Audi crazy) and i made him an offer on the S6 that he was willing to take. But thats just going to be the donor-car, my brother accepted to sell me back my old Competition, so i will merge the two cars together! At first stage it will be engine and gearbox from the S6 together with brakes and 5-lug conversion. All controlled with VEMS to pass the swedish MOT. But my plan is to be able to use it as a daily driver, so more of a fast sportscar for the road than a full out racecar. Collecting parts and knowledge now about the swap, but thats what the fall will bring for me - a new car project!